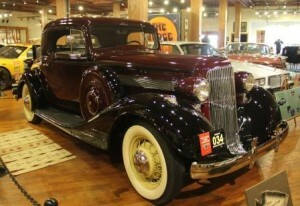 What do you do with a collection of 20 restored Pontiacs and Oaklands and more memorabilia than you have room to store? 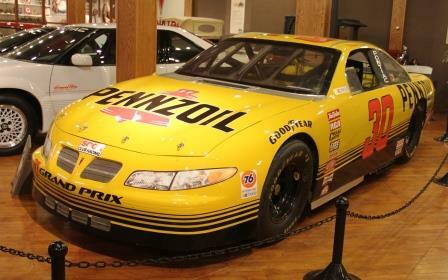 Open a museum, of course. 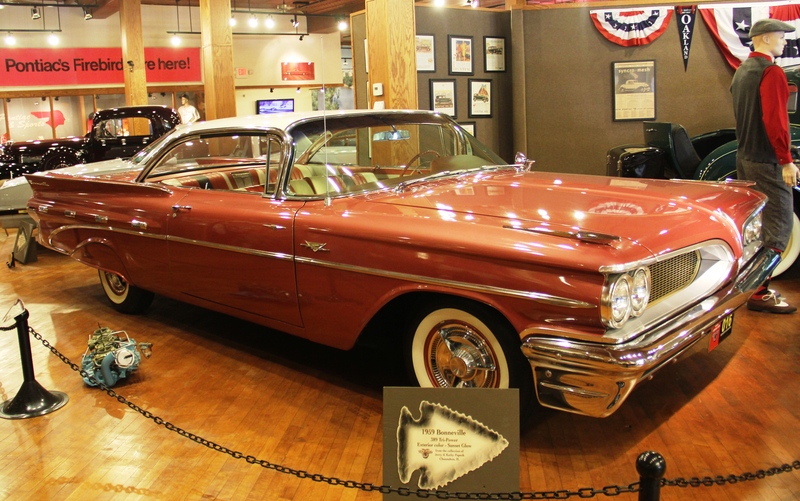 And what better place to open the Pontiac Museum than Pontiac, Illinois, a popular stop along the historic Route 66? That’s exactly what Tim Dye did when he and his wife Penny pulled up roots from Broken Arrow, Oklahoma, and moved their collection to Illinois. It was less than a year from the time that Tim Dye first visited Pontiac and mentioned an interest in opening a museum to the day that the museum opened in 2011. Since then, more than 33,000 people, from all over the world, have visited the Pontiac Oakland Museum. 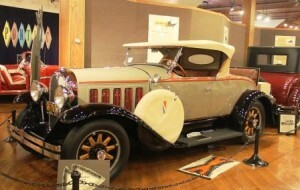 Besides Dye’s personal collection, ten cars and other memorabilia have been donated to the museum. Cars are on loan to the museum, too, which means ever changing displays. 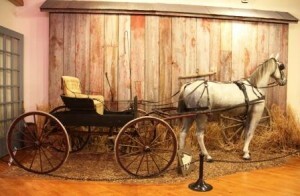 You’ll see the first model of Pontiac ever made, which was actually a buggy dating back to the 1890s, original right down to the upholstery. The buggy is pulled by fully restored Old Jim, who stood at the Maple Brothers Harness & Horse Goods Store in nearby Fairbury from 1890 until 1950. 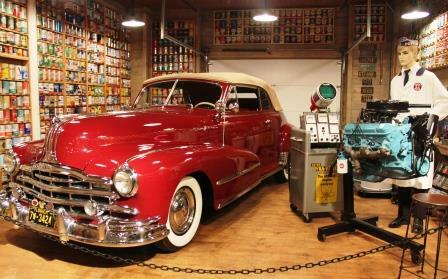 Some of the cars are set up in scenes, like the 1948 Pontiac convertible in a service garage, where 1,450 oil cans are also displayed, about half of Dye’s collection. Even the garage door is authentic; it’s the door from a former Pontiac dealership. …and a 1931 Oakland Sport Coupe, the last year that model was made. 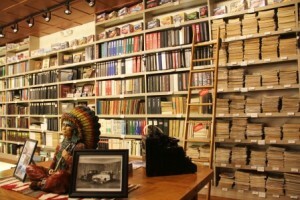 There is even a library with volumes upon volumes of manuals, magazines, maps and drawings. 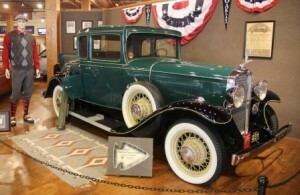 Admission is free at the Pontiac Oakland Museum, located at 20 N Mill Street in Pontiac, Illinois.